Tempo Runs - You CAN Go the Distance! Train like Kenyans: Tempo, Tempo, Tempo! Many elite athletes, especially Kenyan runners, believe that the Tempo Run is the single most important workout you can do to get faster at any distance. I’ve found this to be true in my own training. Tempo Runs, combined with Yasso 800s have dramatically improved my speed. But what in the world is a “Tempo Run”? If you do a Google search for “tempo runs,” you will find that they are also called Threshold or Lactate-Threshold or LT runs. You will also find many detailed explanations about oxygen metabolism and hydrogen ions and fatigue points; all of which make for interesting (yawn) science and theory, but I just want to run! By now you should know that I like to keep things simple. I simplified my speed workouts by just doing Yasso 800s. There are many complicated formulas for how to do perfect Tempo Runs, but, once again, I have simplified them to meet my needs. This is what a Tempo Run workout looks like for me: 1 mile easy warm-up, then 5 to 10 miles at Tempo pace, then a 1 mile cool-down jog. 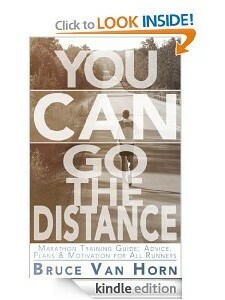 I base all of my training paces on the Marathon Goal and its corresponding Race Pace (RP). The Yasso 800s are based on Marathon Goal, but Tempo Runs and Long Runs are based on the target Race Pace. Many programs will have you use previous 5K or 10K results to determine Tempo pace, but using RP works best for me. For beginners, start with 2 miles at your Tempo pace and add to it throughout your schedule. Try to build up to 10 miles at Tempo pace near the end of your training schedule. If you are using the YCGTD Marathon Training Plan, you will see a specific weekly schedule of how far and how fast to run. For example, in Week 12, the Tempo Run is “7 mi @ RP – 30”. This means that you will run 7 miles at a pace that is 30 seconds faster than your Race Pace (RP – 30). Assumed in this is a 1 mile warm-up and a 1-mile cool-down, for a total of 9 miles that day. The goal of the Tempo run is to get you used to running longer distances at a pace that is slightly faster than you will run during your marathon. Not only will this build the strength and endurance you’ll need for the marathon, it also has the added benefit of making your RP seem easier come race day. In other words, once you get used to running at 7:30 per mile, it seems slow to run at 8:00 per mile, and that’s the goal of the Tempo Run. Tempo Runs will help you develop your running rhythm or “Tempo”, stride, and breathing. Getting in a Tempo Runs each week will definitely help you improve your speed and endurance. So get out there and pound some pavement! You’ve got a marathon to train for. Get at it!